Like many communities in Eastern North Carolina, Robeson County was hit hard by the October, 2016 Hurricane Matthew – flooding buildings and rendering them unusable. The county’s school administrative office was among the buildings affected, losing it to flood waters. Other buildings, schools, vehicles and equipment were also damaged or destroyed in the storm. A significant problem facing Eastern North Carolina communities that experienced serious flooding was losing multiple public facilities. 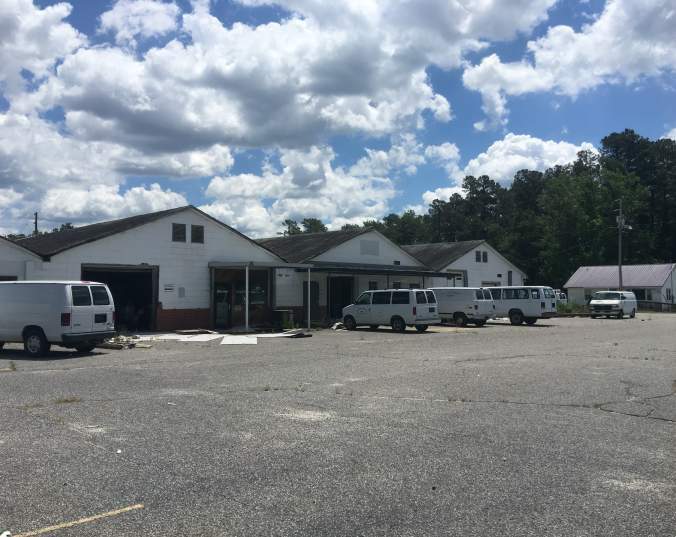 The widespread devastation created a situation where communities – like the Robeson County School district – could not afford to replace or rebuild everything at one time. The Golden LEAF Foundation granted the school district two grants totaling just over $5.3 million dollars from state recovery funds to help them get back on their feet. Part of the funding is allocated towards a new central office – that has to be relocated because it cannot be rebuilt in a flood zone – as well as work at a Lumberton elementary school. Other grant money will go towards facilities that were lost to the flood, so that the rural community school system can replace and repair critical facilities needed to provide education resources to its district.